Making another deep run in the NCAA Tournament won’t be a surprise for Florida State this time around. With seven players who earned significant minutes back from a team that was one win away from the Final Four, the Seminoles are loaded with experience and depth. Now comes the challenge of learning how to win when you are expected to. Two straight trips to the NIT have certainly dampened some of the momentum Florida State had built by rattling off four straight NCAA Tournament appearances from 2009-12. However, expectations surrounding Leonard Hamilton’s club remain high, and for good reason. 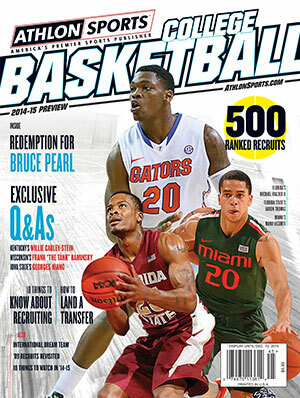 This preview and more on Florida State and the ACC are available in the Athlon Sports 2013-14 College Basketball Preseason Annual. The magazine is available online or on newsstands everywhere.